The Mastertronic Archives - The history of Mastertronic budget games! And it is in fact, why we are mentioning Mastertronic today, because just recently a new Book Kickstarter was started by Player One Books, which aims to produce both a standard volume and an enhanced collector's volume detailing the history of these games. With the standard edition, covering 256 pages of all of the Mastertronic £1.99 releases including game reviews, game credits, screen shots, cover images and more. And the Collector's Edition including everything in the Standard Edition, PLUS an additional 256 pages featuring game reviews, game credits, screen shots, cover images and more of the other Mastertronic labels such as M.A.D., Americana, Rebound, Rack-It, etc PLUS the unique disk releases. 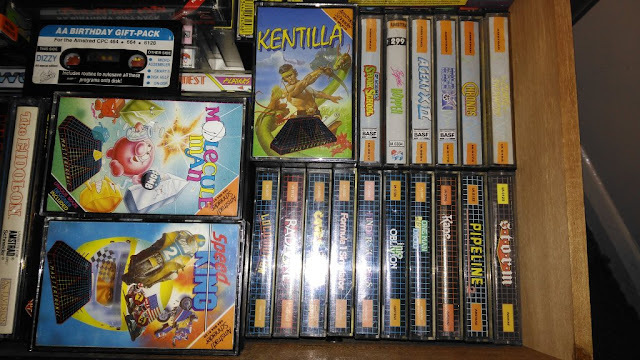 Re: The Mastertronic Archives - The history of Mastertronic budget games! Oh wait silly me it does on pdf.